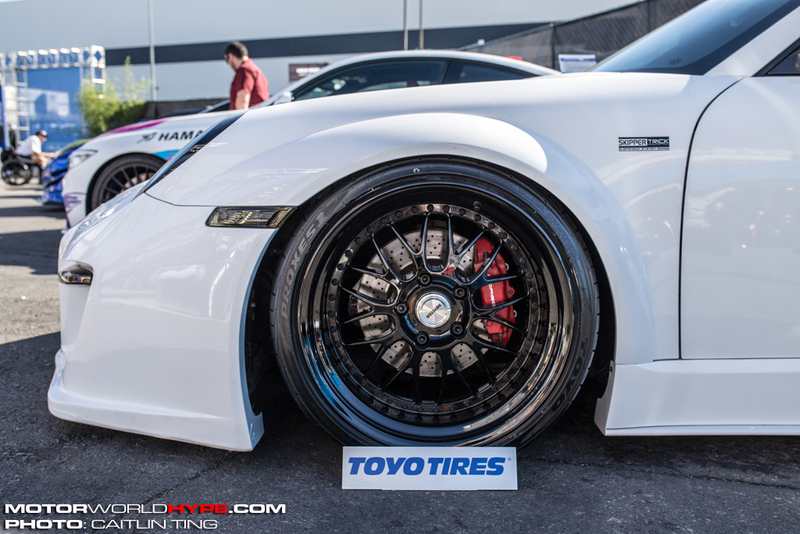 It was a day or two before SEMA. 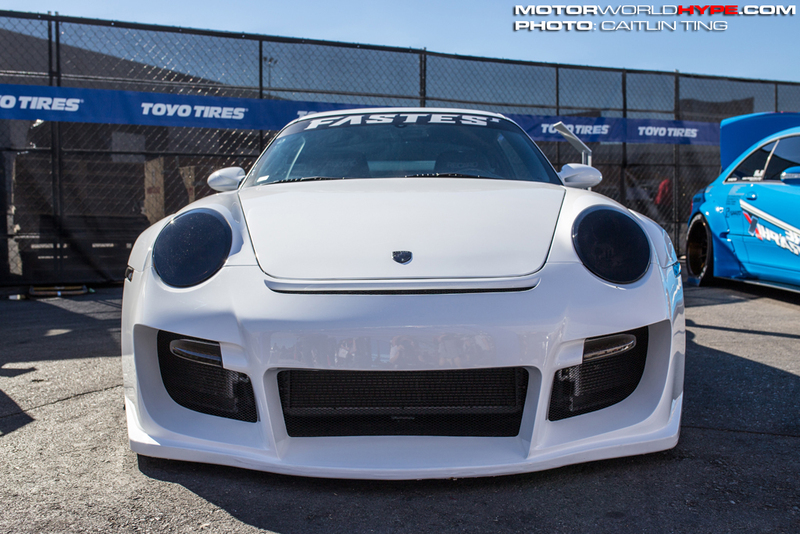 I had just walked away from my computer, confident that I had finally put together a solid list of all the cars I wanted to cover from the show; and then it happened… I get on instagram and see a post from Mark Arcenal (creator of the Fatlace & illest brands) with this crazy looking widebody Porsche with a caption saying “I lied. Here is my secret project”. If you’re thinking that this was the point that I exclaimed an expletive then you would be correct. However I knew this car was a must have on the list so I found out where it would be and sent my SEMA photo ninja after it. Despite my desperation to get shots of this car I admittedly do not know much about it. 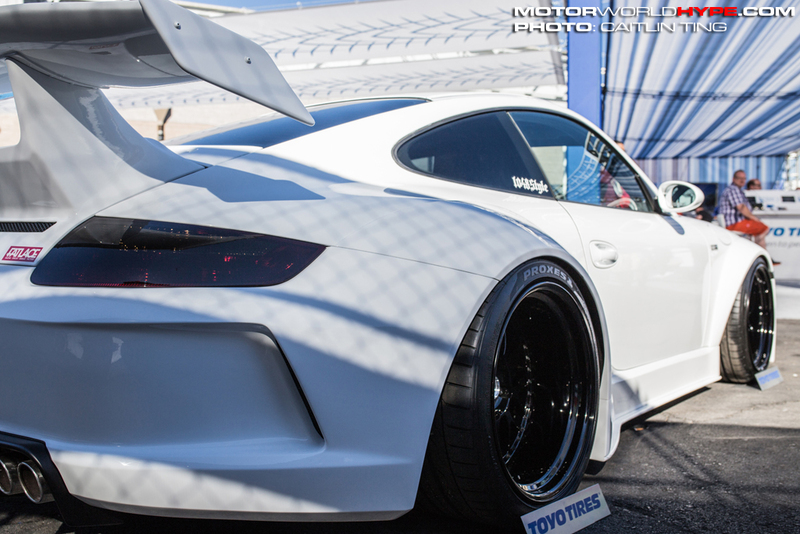 What I do know is that the widebody kit design is all new and dubbed “FRF”. 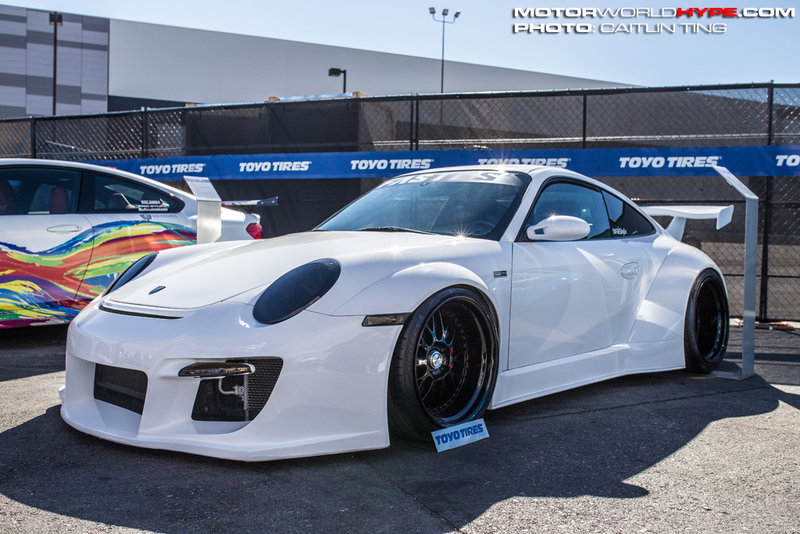 I am speculating but I think this will be a new brand of body kits meant for modern Porsches as a sub-brand RAUH-Welt Begriff (RWB) as typically the RWB brand deals more with older generation 911’s and not so much the newer stuff. I also know that Mark Arcenal is working with Toshiya Ichiraku, the International Director of RWB to bring this FRF kit to the states in which Fatlace would be the exclusive USA distributor. So, technically this kit isn’t here yet. In fact the car you see in the pictures was not built in the states but shipped to Las Vegas directly from Japan. Although Mark did mention on instagram that they are taking pre-orders for the FRF kit but did not mention when the kit will officially release. If you have a Porsche 997 and you’re interested in sporting the FRF kit then I would suggest hitting up Mark on instagram or contacting the RWB USA office and they may be able to help you out.